From an early age, Jess showed a keen interest for music, and has been playing the violin for over 16 years. Jess originally comes from a classical background, studying both Suzuki and AMEB methods, and has since developed skills in playing a broad range of styles including jazz, contemporary, folk, rock, and world music. Jess completed her Bachelor of Music specialising in Jazz and Improvisation in 2017, and is currently undertaking a Masters of Music Therapy at The University of Melbourne. Jess is experienced in playing in a number of bands and ensembles. She has played in alternative folk rock band, Colouring Cats, Klezmer/fusion outfit, Moonspice, a Celtic band, a string quartet and has performed in a number of choirs. She is currently playing frequent gigs around Melbourne with her band Pigeon Presents, who work together to compose original music, drawing from jazz, folk and minimalistic genres. Jess has 3 years of teaching experience, and tailors her lessons to meet the needs of each individual. Jess hopes that she can pass on her passion for music to her students and provide a fun and supportive learning experience. 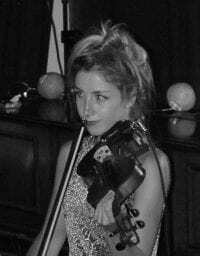 Jess Thane currently has lesson slots available on Mondays and Saturdays at High Street Music Preston. Our music lessons service Melbourne’s northern suburbs including Preston, Ivanhoe, Heidelberg, Reservoir, Thornbury, Northcote, Bundoora, Coburg, Bellfield, Kingsbury, Fawkner, Thomastown and Lalor.